The article in the Los Angeles Times had a very humorous sapo: When you're going out for hot pot, don't just invite any group of friends: First make sure your companions are reasonable, considerate, even empathetic diners, the sort of people who are good at trust games. The culinary section of the Los Angeles Times has just published an article introducing the delicious dishes available in this city. 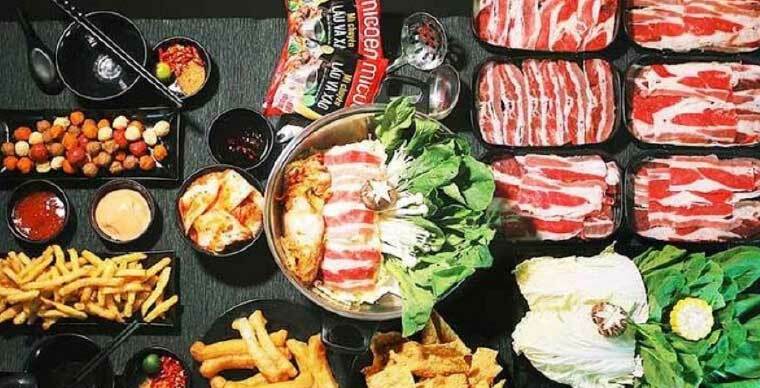 At the beginning of the article, the columnist had a very amusing way to start the article: When you're going out for hot pot, don't just invite any group of friends: First make sure your companions are reasonable, considerate, even empathetic diners, the sort of people who are good at trust games. The article on the Los Angeles Times was so interesting and detailed that it was simply because of the Lau culture has not been a part of the Western culture yet. It’s hard to blame them since they have just known about Lau for a while. The Los Angeles Times said that enjoying Lau together was one of the purest forms of the "sharing" form that appeared thousands of years ago in the nomadic tribes from the East. At that time, the ancients often put together the food they earned, like meat, fish, vegetables ... to cook together in a large pot. The large pot of food will be shared among the members of the tribe. Los Angeles Times said that Asian countries like Japan, Korea, Vietnam, Thailand ... have their own "version" of the Lau culture. Each country features different recipes and ingredients, giving different flavors for the Lau. The Los Angeles Times asserted that being together around a pot of Lau is a fun experience, "that’s why recently in the Lau restaurants in LA, customers usually have to wait for hours to be served. " 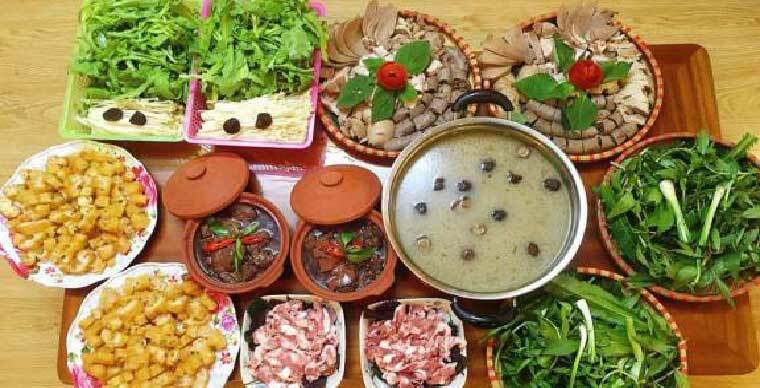 The way of eating Vietnamese hot pot is to put food in the pot and wait for the food to be cooked, and then dip the food into its appropriate sauce. It’s like a way of preparing the food for yourself and for people sitting at the table. 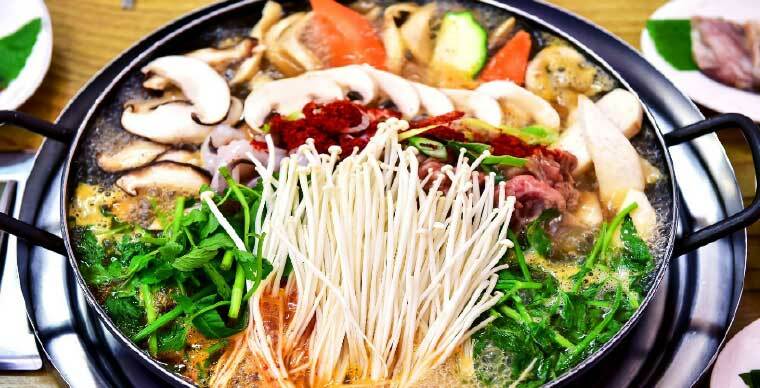 The Los Angeles Times says there are many hot pot restaurants in the city, and each has its own style depending on where the owner is from.You can invite friends there for lunch or dinner. Since Lau is a meal for people to sit together for a little longer than usual, so it is a chance for everyone to have more time enjoying something together. The ingredients of Lau usually include beef or seafood, along with a variety of vegetables, including banana blossom, pineapples, tomatoes, herbs, taro etc. The broth is made by stewing different kinds of bone for hours for savouring the best flavours. 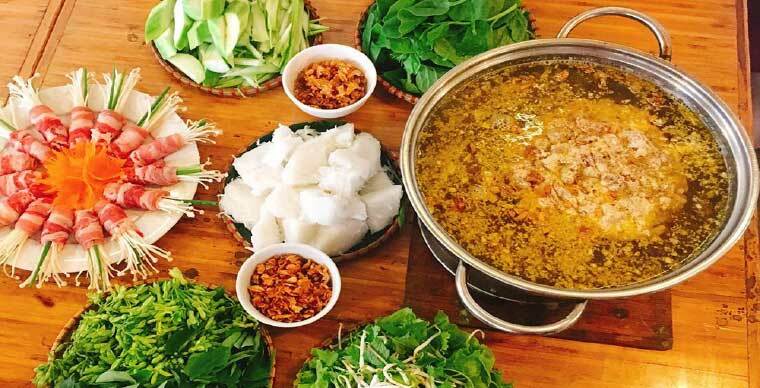 The Los Angeles Times thinks that the broth used in Vietnamese Lau is strong in flavor which is the advantage of the dish comparing to other similar kinds of hot pot. During the meal, each sip of hot pot later is different than before. As Westerners are not familiar with the way of eating Lau, the columnist guided in the article to every detail like the dinners had to wait until the meat, fish, vegetables, and potatoes were ready to eat. If you do not like to eat with grease and whirling smoke, you can try this restaurant. Sauna hot pot is not a spacious area, flashy on the street but many people know and tell each other when they want to choose a good Lau also with good price. The advantage of steaming Lau is that the meat is not too ripe but still keep the sweetness and freshness. The food is steamed in different floors of the pot. There are 3 floors to steam the meats, vegetables, fresh water will flow down to cook porridge with Chinese herbs to make the porridge sweet and tasty. 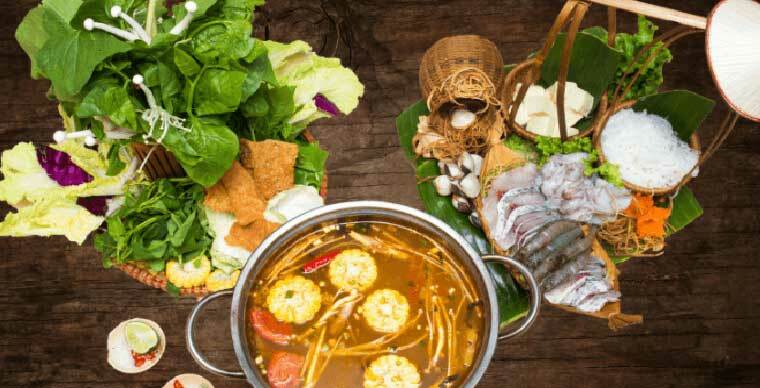 The menu varies from bird, chicken, beef to fish, shrimp, clam with the price range from 200,000VND to 350,000 VND (8.65$ - 15.13$) per person. The restaurant is located on Hang Luoc Street, near the Hong Kong bakery, which is spacious and airy. The first impression when coming to the shop is the luxurious and eye-catching design of the restaurant. In their varied menu, there are not only different kinds of lau but also light snacks. 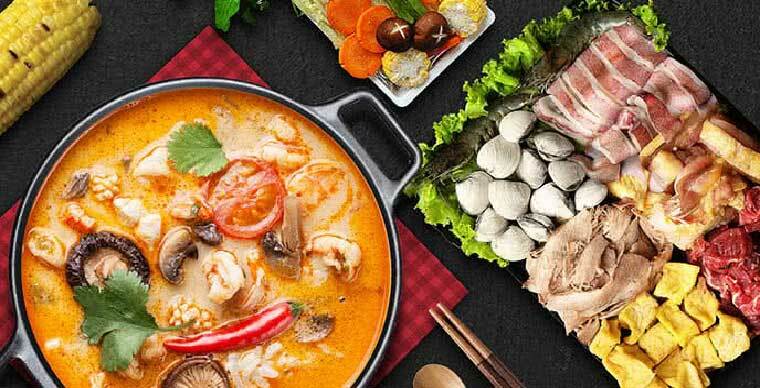 Specialized in 3 types of Lau is Hong Kong hot pot, Thai hot pot and kimchi hot pot. Depending on the type of Lau, there will be different ingredients. A small note which is the hotpot here is very plentiful so you may want to double check on the numbers of portion you want to order. Crab Lau is most likely the most suitable Lau in the cold rainy days in Hanoi. The biggest plus of Minh Anh Hot pot is not in the space, design or price but in quality of food. The ingredients are freshly prepared and right before being served to the dinners. Hot and tasty broth comes with a plate of diced meat to dip in. Apart from crab lau, the restaurant also has other options which is chicken Lau and dried goat Lau. Steam House is the second base of Steam Box on Giang Vo street. Spacious space, airy and without feeling of being stuffy or cramped, reasonable table setting, very convenient for receipting guests and family reunions. The food is completely cooked by steaming, so it can keep the fresh color of the vegetables. All the food will take 6-8 minutes to cook. Because it is steaming Lau so the food will be fresh, you won’t feel fed up of eating it.